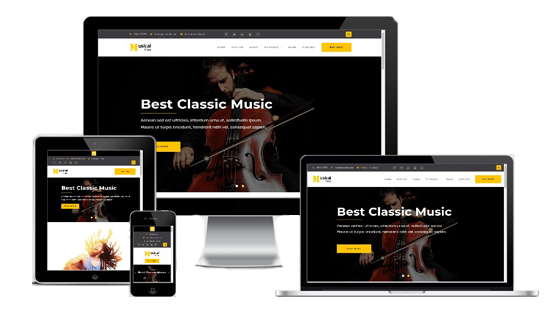 Musical Vibe Pro is a clean, simple and responsive WordPress theme. It is very suitable for musicians and other music related groups and musical bands. It is easy to use, user friendly and allows you to fully customize your website without having to work with code. 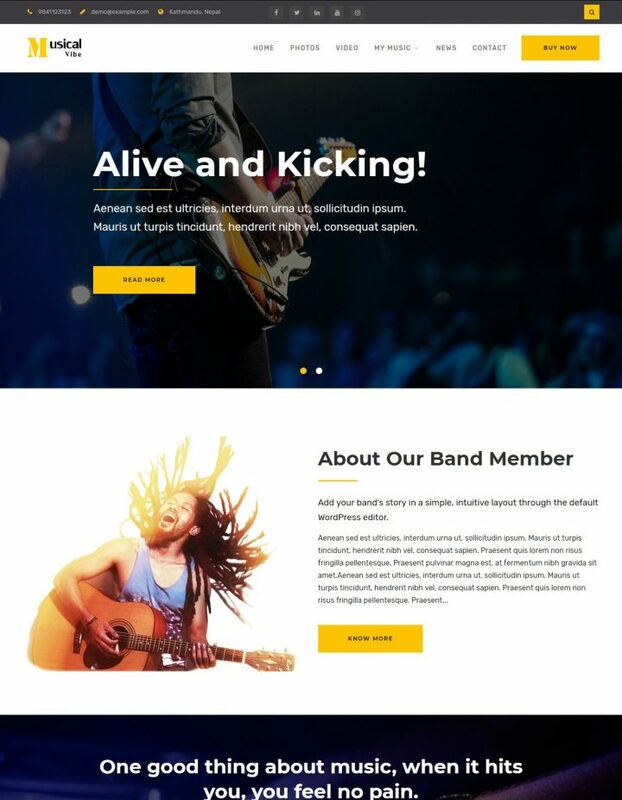 The theme is attractive and pretty stylish which makes it a excellent choice for music related websites. It provides several useful features and theme options to customize your site as your requirement. Theme is translation ready and optimized for best performance.